. إن الخدمات التي يقدمها Base Queenstown Backpackers تضمن للنزلاء إقامة مريحة. يمكن لضيوف الفندق الاستمتاع بالميزات التالية على أرض الفندق: خدمة التنظيف يوميًا, خدمة غسيل ذاتية, مكتب الاستقبال على مدار الساعة, مرافق مخصصة لذوي الاحتياجات الخاصة, تسجيل وصول/خروج سريع . تنعكس أجواء Base Queenstown Backpackers في غرف الضيوف.سجاد, اتصال لاسلكي بالإنترنت, غرف لغير المدخنين, مكيف هواء, تدفئة هي بعض الميزات الموجود في العديد من الغرف. يقدم الفندق العديد من الفرص للاستجمام كمثل تأجير معدات التزلج, التزلج على الجليد, بلياردو. إن Base Queenstown Backpackers هو خيارك لخدمة الفنادق الراقية في كوينز تاون. Security code is adopted in this hostel for all rooms door. There are a gal and a guy using the code to open our room door twice at midnight around 04:00 when we are sleeping. The gal entered the room when she opened our door the second time while the guy was keeping the door open. Obviously the first time opening the door is to verify if the guests are asleep. Luckily my wife just awoke. The gal saw her and then left. According to my wife's description, the gal is young. We compliant to the staff the next morning and requested for a reason, but no feed back after more than 2 weeks. Trust me that nothing like cleanliness or convenience is as important as security. It is about your properties and your trip mood. Hope the hotel can reply to this security problem when they saw this comment. I DON'T RECOMMEND this hostel to all. Hey Kin, Security is something we take with the most seriousness. I will investigate this situation asap and make sure a solution is found to your problem, thank you for bringing it to our attention. We hope you enjoy the rest of your travels. Rooms seem always like a bunker, if there's a window you cannot open it (it was spacious tho). No elevator and no laundry (not working). Kitchen was small and with old equipment. The price should be cheaper. I guess you get what you pay for, but there are definitely nicer hostels around. Rooms a bit on the old side, and only 3 plugs in a room of 8. Kitchen too small for the number of people as well. Noisy at night, as its next to a bar. The electronic key is annoying as well. Maybe a shorter code that's easier to remember would be good, or what is wrong with a key card? Still, if all you want is a cheap room in a hostel this will do. Hi there, Thanks for the feedback, we are looking into the issue with regards to not evough powerpoints in the rooms, thanks for bringing it to our attention. Our kitchen is being renovated this week so this will fix the issue o space as we plan to add more seating! We would love to make the code shorter for the rooms however this would pose a security risk and something we're not willing to fall short on as we take our security policies seriously to ensure the safety of all guests. Thanks again for the feedback and we hope you choose to stay with us again! Lift was not yet repair during our stay but it's fine. Next to Ferg Burger which was very good. If you drive a car, you have to park in somewhere else nearby but the staff are willing to provide information to guest and nice. Kia Ora! Thanks for the great review! The lift is now repaired, apologies it wasn't working during your stay. We hope you enjoy the rest of your travels! Hey Yamila, Thanks so much for the awesome feedback! We have Latino night in the bar every Thursday too! We hope to see you again soon! Ideal on price and location. There’s a bar downstairs that produced a lot of noise on the first floor. The elevator was also out of order so a lot of noise in stairwells with people with luggage. There’s a frustrating no food in room and no alcohol in building policy. Me and my partner stayed in a double room with own bathroom, the room was not bad. There was a fridge as well as towels, shampoo and soap. The room however was lack of shelf, desk or cupboard to put stuff on apart from the floor. 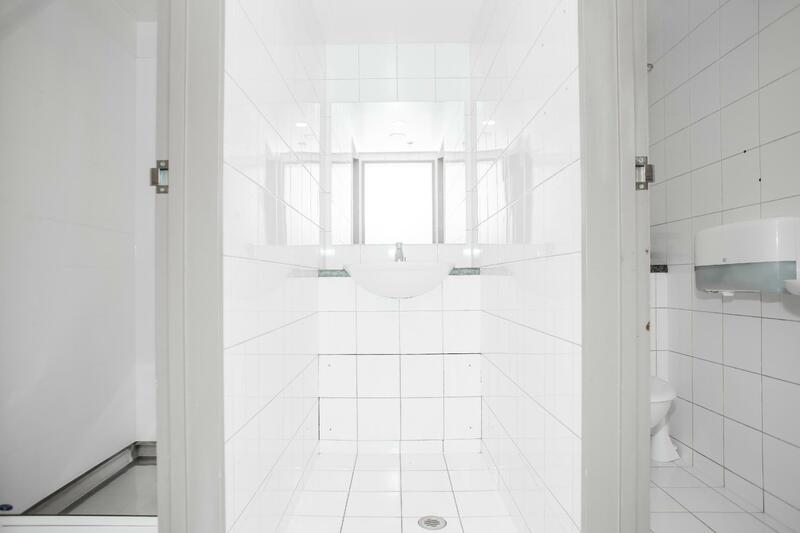 Staff were very friendly and helpful as we had issue with shower head and they fixed it in no time. Kia Ora! Thank you for the great review! We've taken your comments on board and will be renovating the room you were in to include storage. We hope you enjoy the rest of your travels! Having to sign a document to say that you will not tamper with fire equipment says it all. A dry house.. no alcohol allowed on the premises. For the older older traveller look elsewhere. However it was the most comfortable bed if you can handle the late night revelry. Small space, too many rooms and beds. Too crowded. The pricing is cheap, location is good but the amenities provided are not clean. The bed gave us bumps on our skin, it was difficult to sleep (not sure if it is the bed bugs) and the kettle was dirty. I requested the housekeeping to not enter our room (twice; once at the receptionist and once directly to the housekeeper) but yet they entered anyway. They are not very sensitive to customers’ requests in our opinion. The room size is good, so does the size of the bathroom. There is a fridge provided (an additional benefit). The location in the central of the town would be great if no irritating noise from the pub at the ground level. The linen feels not so clean, and we suspect there might be thousands of mites as we both kept scratching ourselves throughout the 2 nights stay there. (We stayed at 7 different hostels/motel while in New Zealand and never experience the same itchiness). The laundry room "looks" dirty, as well as the washer and dryer machines. Credit to the super-friendly and very helpful staffs at the counter. i stayed in a sanctuary female dorm which is equipped with own bathroom and toilet. room is clean thou abit small for 8 people. and most ridiculous thing is that the room has only 2 power sockets (without extension plug) to be shared for 8 people!!!!! totally unacceptable. no free wifi. breakfast is very limited, thus if u arrived late (though is still within breakfast time), you may have nothing. nevertheless, location is quite central and you can walk to the infamous Fergburger and Lake Wakatipu waterfront. The bar has cheap food. The rooms were pretty clean. The staff was super helpful and friendly. Very close to everything downtown and you can park just across the street. Definitely a younger crowd here. the location of this place is perfect! they have 24/7 reception and a big kitchen for backpackers to do cooking. the room that I stayed in has an en suite toilet, it was clean and there are hot showers. there are many eateries nearby and opposite Base there is a 24/7 convenience store. The place might be noisy during weekends as the bar is just downstairs. The price is very affordable for a private room in expensive city queenstown, location is perfect, you can find many budgeters coming from diverse countries. 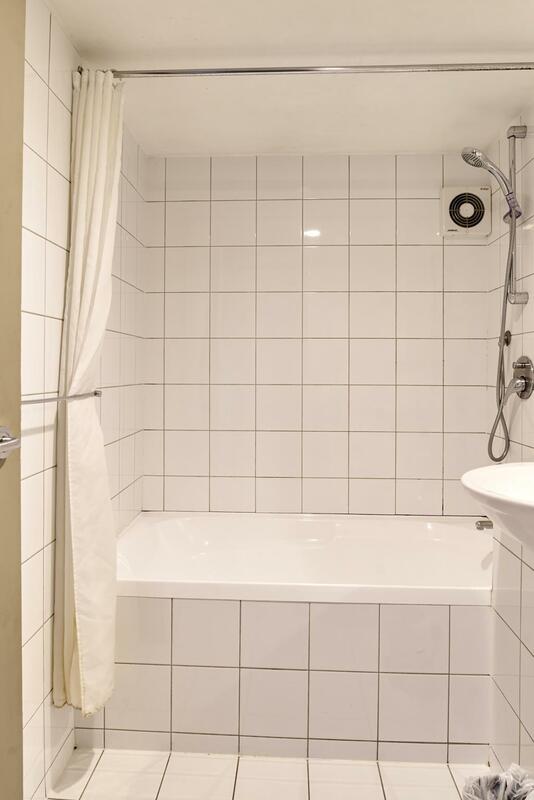 The kitchen contains too many people, the elevator stinks badly, but our private bathroom is perfectly large, and the room is not clean, the bed side has stain. If you love crowd and are on budget, this hotel is perfect. Very pleased staying at this hostel.The staff is very friendly and helpful. The location is perfect and we didn't spent a lot of money. Great place for young backpackers. 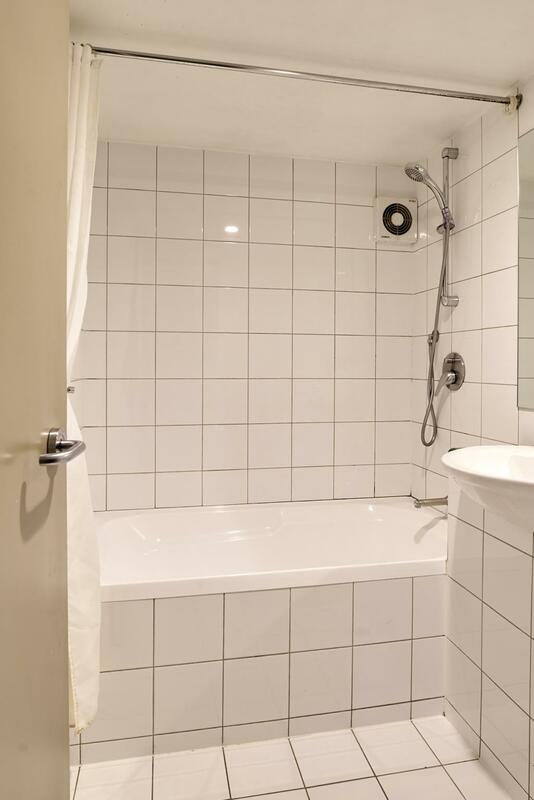 The only thing: the double room I booked didn't have a private bathroom even though on the picture on Agoda showed one.